Here you will find the Large Luxury SUV sales leaders in the United States for December 2017. Each month we compile the Large Luxury SUV sales data and reports for North American markets and analyze it to create the best selling list below. If you want more data, check out our last few months of data Large Luxury SUVs Sales in America – November 2017 or Large Luxury SUVs Sales in America – December 2016. Also check out our other Segment reports or dive deeper into Large Luxury SUV Sales. 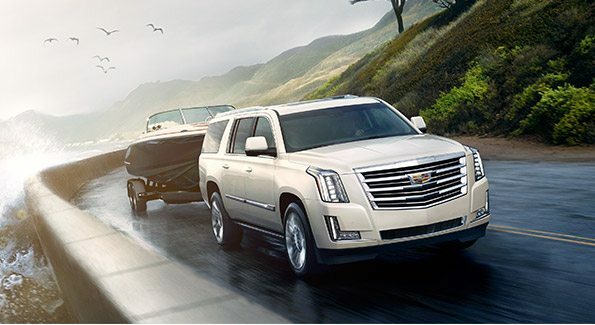 Coming out of 2017, the Cadillac Escalade holds on to its 5,000 units lead over the Mercedes-Benz GLS-Class despite a 3.6% fall in sales for the big Caddy. 2% growth across the segment from 2017 to 2016 represents a slowdown from the previous year’s 10% uptick, though the majority of nameplates grew their totals on 2016. A renewed Lincoln Navigator ended the year on a high – 30.1% year-on-year growth in December launched the Lincoln into the green in its yearly total, with over 75% of the new model being bought in the highest two trim levels according to Ford. Infiniti’s QX80, Mercedes-Benz’s GLS-Class and the Bentley Bentayga all posted their best year ever in the States – though that’s unsurprising for the Bentley, which rounded off its first full year of sales in 2017.